In honor of Women in Horror Recognition Month and to spread the word about a wonderful book, I’d like to welcome Carole Lanham to the forest today as she stops by on her The Reading Lessons Blog Tour. Carole sent me a copy of her first novel and it was a pleasure to read. Here’s some more info on the title and Carole, buy links, and my review below. About the Book: Mississippi 1920: Nine year old servant, Hadley Crump, finds himself drawn into a secret world when he is invited to join wealthy Lucinda Browning’s dirty book club. No one suspects that the bi-racial son of the cook is anything more to Lucinda than a charitable obligation, but behind closed doors, O! she doth teach the torches to burn bright. What begins as a breathless investigation into the more juicy parts of literature quickly becomes a consuming and life-long habit for two people who would not otherwise be left alone together. As lynchings erupt across the South and the serving staff is slowly cut to make way for new mechanical household conveniences, Hadley begins to understand how dangerous and precarious his situation is. 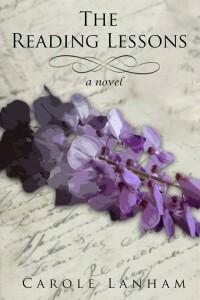 My review: Carole Lanham’s The Reading Lessons is a seamless blend of historical literary fiction and romance. She pulls you in with the opening sentence and the narrative never lets go. It’s impossible not to feel for Hadley Crump, a biracial boy living in Mississippi in the 1920s, who falls in love with the daughter of the white man his mother works for. Lucinda has a hot temper and manipulates Hadley to keep him in her life, but, though she denies it, it’s obvious from her more tender moments she loves Crump. The story is a bittersweet, honest portrayal of forbidden love in a time when interracial marriage could literally mean death. I fell in love with the characters and raged at Lucinda right along with Hadley when she pulled his strings, but was touched by her gentleness and devotion to him, too. You won’t forget this book. It will stay with you long after you’ve read the final page. I’m not too proud to admit the conclusion made me tear up. From Mama’s superstitions, to Hadley’s struggle to desperately break Lucinda’s hold on him, to Dickie Worther’s dissatisfaction with a life he was born into, these characters are vibrant, realistically written, and they come alive on the page. The Reading Lessons is a deftly crafted tale of how society’s social mores often hold us back, how social classes divide us, and how when that’s briefly stripped away in secret meetings, two people can have a taste of what they truly want. I highly recommend this book! 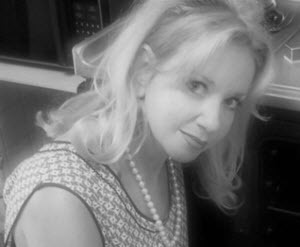 About Carole: Carole Lanham is the author of twenty-four short stories and three books, The Whisper Jar (Morrigan Books, Oct 2011), Cleopatra’s Needle (Black Daisy Press, coming in 2014), and The Reading Lessons (Immortal Ink Publishing, Jan 2014). Her work has twice appeared on the preliminary ballot for a Bram Stoker award, she was short listed for The Million Writers Prize, and she has won two national writing contests. UPDATE: Hey, folks, would you like to win a Kindle copy of The Reading Lessons? First three people to comment on this blog post will receive an ebook from Carole! This book sounds great. Nice review. You have me curious. I loved The Blue Word, a short story I read recently by this author. Thanks! I really want to tuck into The Whisper Jar by Carole when I can grab some more pleasure reading time. Thanks so much for featuring my book, Louise! What a truly lovely and kind review. The book has been selling well and there’s been a lot of book club interest. The publisher included a reading guide in back, which I’m thankful for because it’s sparked some very interesting conversations when I’ve met with groups. There are few things more exciting than hearing what someone thinks after they’ve finished your book so thank you for sharing your thoughts and for being part of my blog tour. Best of luck with all your many exciting titles. You’re so welcome, Carole! 🙂 It was truly a pleasure to read. I saw one of your reviews said it should be considered a classic one day, and I agree! Wishing you all the luck in the world with this title. 2 FREE copies still up for grabs. 6 weeks on the bestseller lists. Hope you’ll check out The Reading Lessons this weekend. Winner of the Witch Twins Saga Raffle, Funky Werepig, and More Free Books!